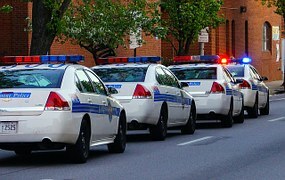 The Blog will follow the progress of this case in Baltimore City and others involving police officers. If you have been charged with DUI or DWI anywhere in Maryland (including federal court) contact Benjamin Herbst for a free consultation at 410-207-2598. Benjamin has handled hundreds of DUI cases including numerous jury trial acquittals, and he is available seven days a week to discuss your case. He specializes in handling cases for repeat offenders, out of state defendants and minors. Baltimore Police sergeant charged with DUI after crashing department-issued car, police say, baltimoresun.com.